Of all the modern times drivers (from 1975 onward), Reutemann seems to be the one that deserved the title most. Sadly things were not going his side, tough he was agonizingly close to WDC in 1981, and may I say 1982, was it not for the Falkland war. 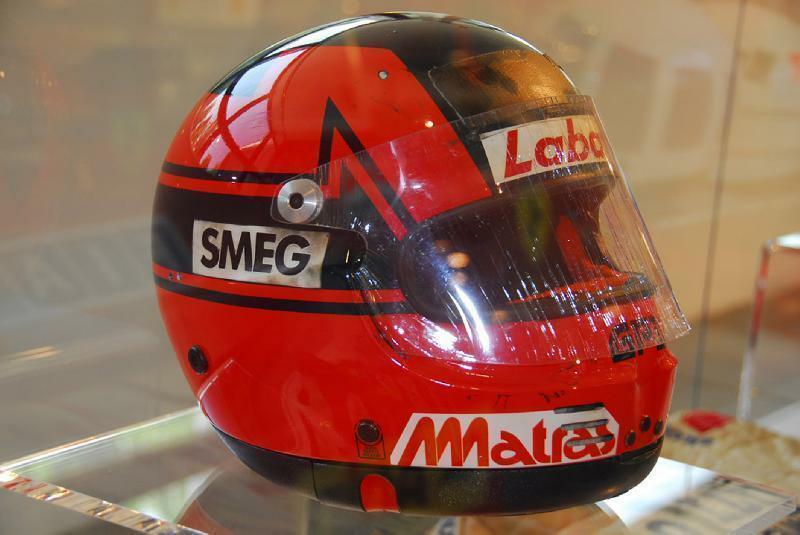 Today is 35 years since this helmet was put to rest. Thank you for noting that, Lieutenant. All deaths on track are ghastly, of course, but this was especially horrible, given the circumstances in Imola which undoubtedly played their part in it. What a mega talent. Sympathy too, for Jochen Mass, tangled up in the tragedy. ESPN classic has been showing old Indy 500 races this past week. 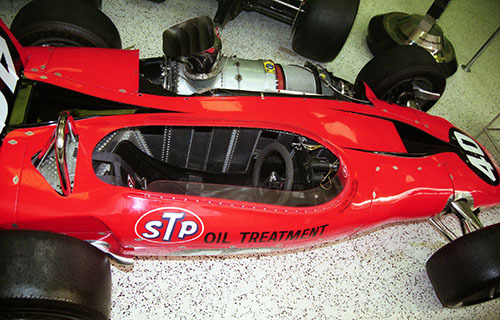 Last night was the 1967 race featuring Parnelli Jones running the gas turbine car built by STP's Andy Granatelli. It ran away with the race lapping everyone except AJ Foyt but had a transmission failure with only 3 laps to go gifting the win to AJ who was only a few yards from being lapped himself at the time. I was struck by the number of F1 drivers on the grid including Jim Clark, Graham Hill, Jackie Stewart, Jochen Rindt and Denny Hulme who also won the '67 F1 championship. Lorenzo Bandini was scheduled to participate but had died in the infamous fiery crash at the Monaco GP a coupla weeks prior. There were also the quasi-F1 participants such as Mario and Gurney along with NASCAR stalwarts such as Cale Yarborough and LeeRoy Yarbrough. Nice to have Fernando on the grid this year. Cant remember the last time an active F1 driver made the trek to Indy. Last edited by Michael Brierley on Sun Mar 17, 2019 2:33 pm, edited 1 time in total. I was here back in the day. Is Eury et al still about? Michael, F1, 1986 – 2017 – present. The first race I attended, the British Grand Prix at Silverstone in 2004, only sought to confirm this passion, the experience and atmosphere which grips you still rings true now and does not diminish with each passing year. From the past to the present and the sight of Lewis Hamilton crowd surfing over my head, F1 is able to create precious memories which can, should and will be treasured, not just for years to come but for ever. No way! That very race was my first too! 2004 British GP, sat in GA on the exit of the old Abbey Chicane. 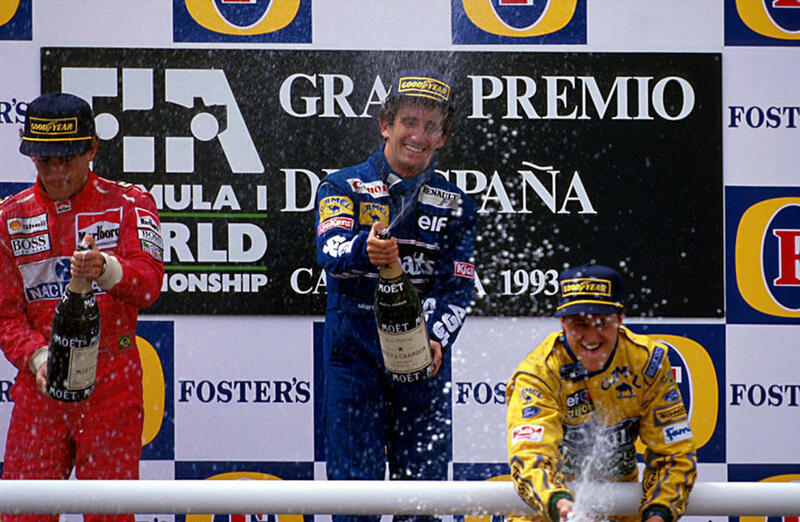 Schumacher won on a 2-stop, against Raikkonen and Barrichello's 3. Seeing it on the forum, however, it looks quite nice so I thought I'd leave it. 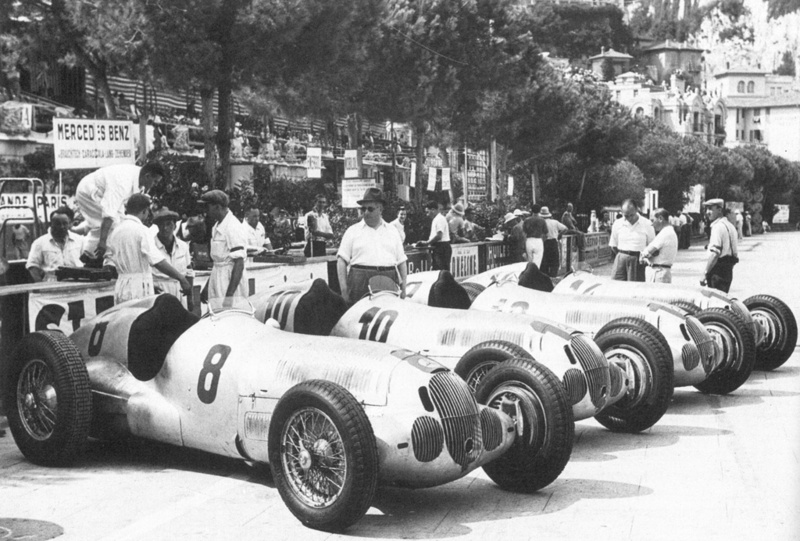 It shows, of course, the W125s of Caracciola, von Brauchitsch, Kautz and Zehender in front of the pitwall prior to the 1937 Monaco Grand Prix. This was the race in which a furious battle took place towards the end between von Brauchitsch and Caracciola. The team wanted Caracciola to win and von Brauchitsch refused to let him past. Neubauer became incandescent with rage and signalled von Brauchitsch to obey!!! To which Manfred von Brauchitsch responded by sticking his tongue out at Neubauer as he went past the pits! Would love to see today's F1 cars on those wheels and tires. Pitstops would be great with them hammering off the nuts! So today marks the day Ronnie Peterson died 40 years ago. Liberty Media has done a nice little tribute to this legend. 14 WDC titles at this podium. 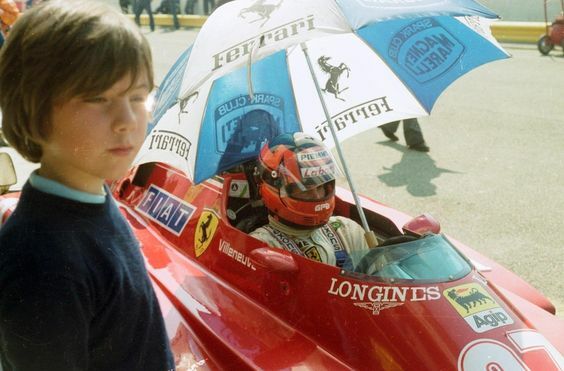 Gilles and Jacques Villeneuve. Hard to tell which event was this. The year was 1982. 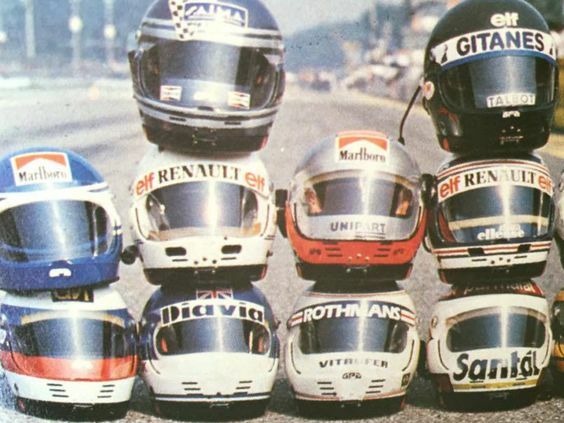 Helmets at the Italian GP at Monza 1982. Back then the Indy 500 was the race every driver int he world aspired to participate in and for some time the race was part of the F1 calendar. However, many F1 drivers who assumed they could qualify easily were surprised to learn that it was nowhere as easy as they assumed and some failed to make the cut. The reality back then was that many of the good ole American Boys were every bit as good and better than their European counterparts and since they had tons of experience at the track and others like it, only a select few elite F1 drivers were good enough to qualify for the race. The race itself was so far from all other races and that played a heavy part in F1 eventually removing it from the calendar. The term Garagiste was used to describe the smaller teams in F1 by the likes of Enzo Ferrari, but the truest Garagistes in the world were right here in America where guys were literally building their own race cars in barns and small garages with the help of just a handful of guys' help. The Indy 500 was littered with entries from Garagistes teams for a VERY long time and accounted for countless, unique ideas like the Gas Turbine car, many of which were successful. ESPN provided such superb insight via their Inside Grand Prix (I believe that's what it was called) program in the late 80's to early 90's, with some episodes presented and narrated by Jackie Stewart, where they'd air old footage featuring different teams, drivers, seasons, cars, mechanics, owners, Investors, and so much more, from eras as far back as the early 1900's all the way to the early mid 80's. Being as I was stuck at home recovering from my multiple hip surgeries, I would watch all 3 hours they'd air every single day like a junkie! I wish I knew where to find all the episodes. The 70's episodes in particular always reminded me of my mom's uncle who is the one who made me a fanatic of F1 when I was 2 years old, and whenever anything from that era aired, I could see his vibrant baby blue eyes looking at me as I stood on his lap while we watched races on TV on his teeny tiny black and white RCA set.